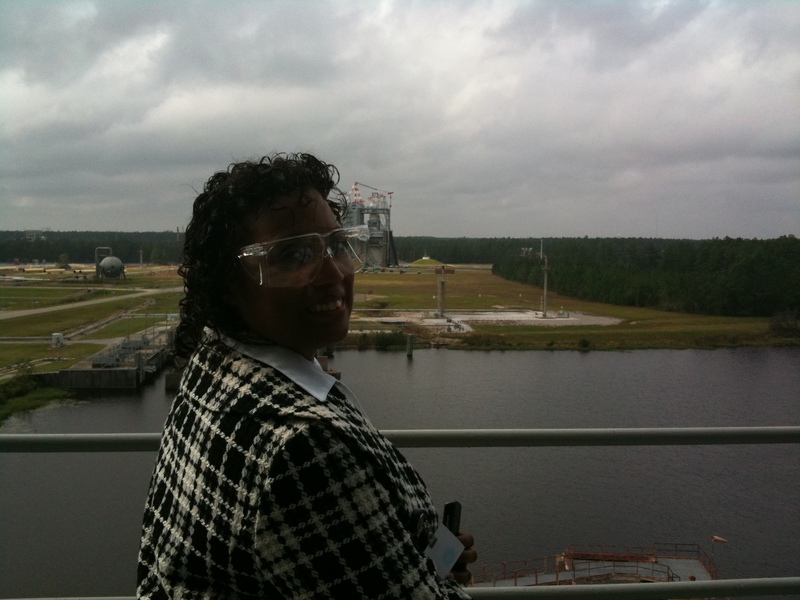 Stennis Space Center is located in Mississippi. The site is the location that was established to test the engines for the Nation’s first journeys to the moon. It continues to be our largest engine testing facility and tested all of the main engines for the Space Shuttle and will test the engines for their replacement. The path to the moon and beyond must pass through the Small But Mighty Stennis Space Center. As one of the smallest of NASA’s Centers with barely 200 civil servants, I was amazed by the vastness of its physical site and the enormity of its mission. It’s funny how we always overlook the importance of the contributions of the “small”. Many laughed at the small shepherd boy who slew a mighty giant with a mere rock; we underestimate the importance of the small seed from which the mighty oak grows; or maybe some scoffed at those wild and crazy kids that had a small idea that started a mighty company called Apple. The lagniappe I was treated to was the story of Wardell Burnett. He retired in 1999 as a furniture mover. He was a loyal and dedicated worker whose small contributions behind a plow and a mule were critical to the success of America’s mighty space program. His work was critical in meeting the challenge of carving up thousands of acres of pine-choked land in Hancock County to make way for the national rocket test site was one of the largest construction projects ever undertaken. Pictured here on the left with an engine test stand in the background personifies the mighty contributions that the small and humble make. As leaders, we should never overlook the contributions of the small and humble. Leadership success relies on those contributions. Mr. Burnett, who died in 2008, couldn’t imagine what was going to happen at the land and site he helped prepare. Yet, his work personified the spirit of the Small But Mighty Stennis Space Center.